One of the simplest way to hack any website is by guessing user ID & password and it is more easy for hacker if you are using default user ID like “admin” or “administration”. So in order to prevent from hacker to being hacked by just guessing default credential, we need to make it change to some complex one that would be hard to guess. If you are also using default User ID then here I am showing you two different way by which you can change it easily. 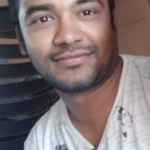 In this way we are not going to change User ID instead we are adding new user with same permission. So in order to do this task please follow below steps. 1. Firstly click on Add user under user menu at left side as below. 2. 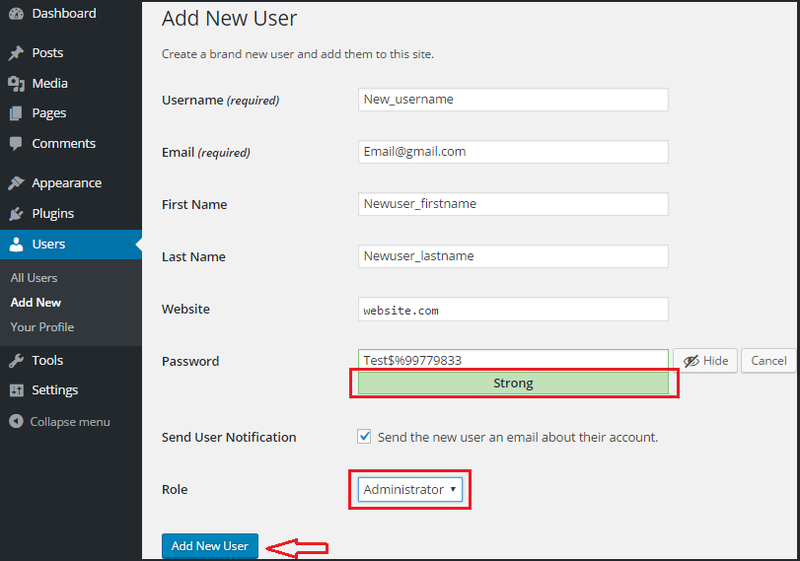 Fill all information requested in form and remember select role as administrator only then click on Add new user button. Note:-Provide strong password (which include upper letter, lower letter, number and symbols). 3. By above steps your WordPress new admin account has been created so now login wordpress blog using new credential. Once you login then open All User Under User (left side menu) as below. 4. Select checkbox of old Admin user as below and click on delete link. 5. You will be ask if delete content or not so please choose “Attribute all content to” and select new username. Then click on confirm deletion button. You can also change your credential by using database. It is bit complex method then previous one but also helpful when you forgot your admin credential. In order to apply this way we again create one admin account with user name “admin” and try to delete from database. Please follow below steps to replace default admin user ID . 1. Open your cpanel and select your database “PhpMyAdmin” from database section as below. 2. Select your database that your blog is hosting from left side list. Here I am selecting stuff as my database . If you are not sure what exactly your database name then just open your wp_config.php file in root folder and check your DB_NAME like below. 3. Once select database name from menu then select your table which contain user name. By default table with suffix _Users contain such information. So click on wp_users and then edit link for User login which you want to change . 4. 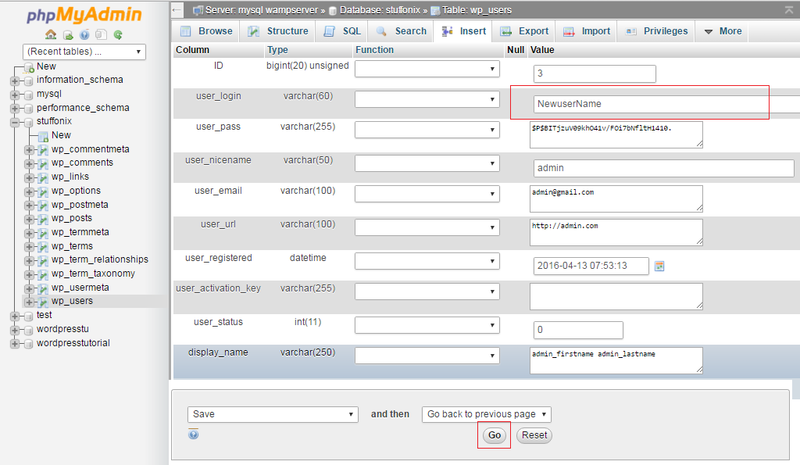 Provide new username and click on Go to reflect in database. Thats it sir & madam!!!! Now you can use your new user ID to access your admin panel.